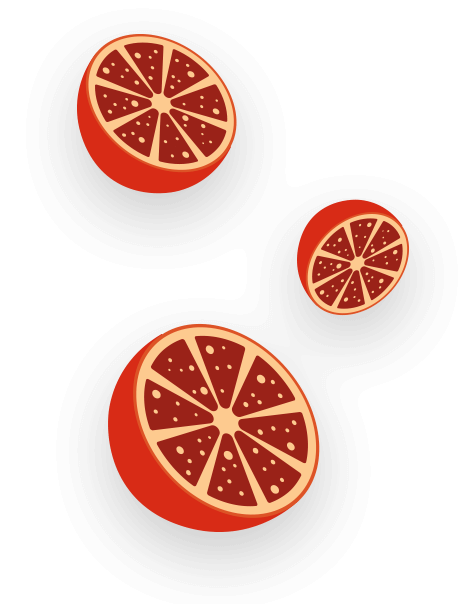 The blood orange (tarocco, moro and sanguinello), a typical winter fruit of eastern Sicily and particularly distinguished by its dark red color given by red pigments, is today the noblest of citrus in Sicily. 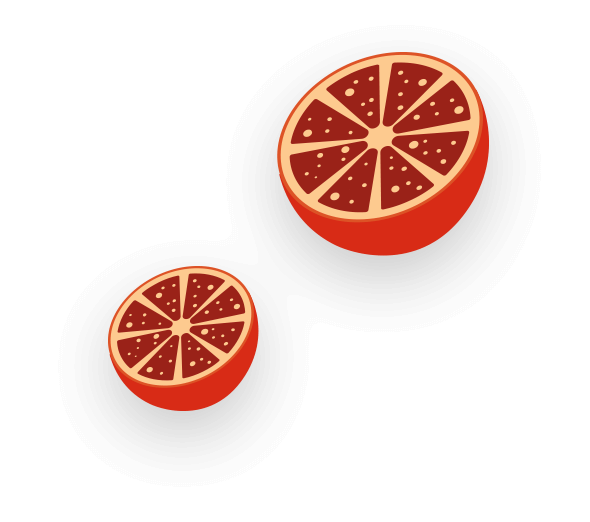 In particular, Sicilian blood oranges are rich in anthocyanins, natural pigments and powerful antioxidants that make them important allies of athletes at the top of the ranking of the healthiest fruits and healthy food. Oranges, and citrus fruits in general, are an important source of vitamins, especially vitamin C (ascorbic acid), vitamin A and many B vitamins (especially Thiamine and Riboflavin). For this reason, blood oranges should not be missing in the diet of an athlete. In fact, if you practice regular physical activity and have a healthy and balanced diet, its many beneficial properties are critical for your wellness. It must be said: before and after sports, there is nothing better than a delicious and fresh blood orange juice! Many studies have pointed out that two or three oranges a day provide the daily recommended amount of vitamin C, important to promote the muscle energy storage and to strengthen the immune system, preventing the onset of colds and flus. In addition, oranges are also rich in carotenoids and flavonoids which strengthen the action of vitamin C and intervene as antioxidants in cardiovascular protection against infections. The oranges also represent a source of phosphorus, magnesium, potassium, iron, selenium and calcium. Their calorie intake is about 45Kcal per 100g and contain about 87% water, which makes them a healthy fruit and more and more loved by athletes. In addition, their inner white bark, which contains a fair amount of soluble dietary fiber, balances the absorption of sugars, fats and proteins consumed during the day. Finally, the carbohydrate content is essentially represented by sucrose, which makes the oranges not only a source of fast assimilation energy but especially the most faithful ally of sport, definitely a healthy and tasty food!